As set out above, the basis of these catastrophes may be that the demand for the output – especially where that output has been significantly increased, due to accumulation – at existing prices, falls. Again, the reason for such falls in demand can be many fold. Or, it may be that the value of inputs rises, or their market prices rise sharply, as their supply fails to meet sharply increased demand, and this increased cost cannot be passed on into the final commodity price. If that means that the producers of the end product make losses, they may suspend production, and all of their existing fixed capital then becomes redundant, along with any stocks of raw material, etc. Its value collapses, as it is thrown on to the market, as the company's assets are liquidated. Marx makes an important point here. 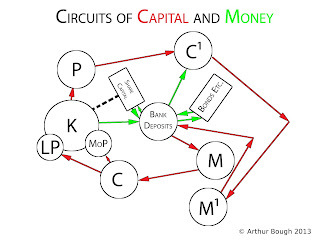 He sets out the process whereby real capital is physically destroyed. 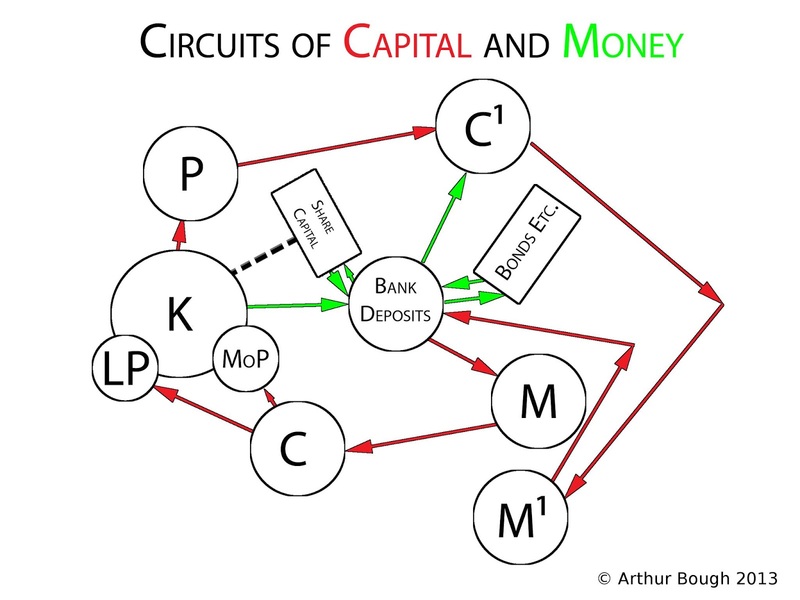 A machine that is not used productively is not capital, and not being used, it depreciates. Material left unused deteriorates and depreciates, and the same with labour-power. This is the difference between depreciation, which is a function of time and non-use, and represents a capital loss, as against wear and tear, which is a function of usage, and the value of which is reproduced and recovered in the value of output. All depreciation represents a physical destruction of the use value of these elements of capital. For Keynesians, this kind of physical destruction is seen as a basis for economic recovery, as the destroyed physical commodities provide an opportunity for creating a spur to aggregate demand, as workers are set to work replacing them. Keynesians always see things such as bad storms, that create widespread damage, as having the silver lining of acting to stimulate economic activity in the following repair work. Some Marxists have also adopted this Keynesian outlook, using it as a means of explaining the post-war economic boom, by claiming that it was due to the reconstruction and replacement of capital physically destroyed during war. In another variant, it is the basis of the so called Permanent Arms Economy thesis. It is, of course, nonsense. There was no such boom following all of the destruction of capital that occurred with the First World War, for instance. On the contrary, after a brief two-year recovery, Europe slipped, in the 1920's, into a Depression that lasted more or less until the outbreak of WWII. In fact, the basis of the recovery was already in place by the mid 1930's, in Europe, though not in the US, which had not gone into the Depression in the 1920's (rather experiencing the boom of the Roaring 20's) and was consequently about ten years behind Europe. The basis of the recovery, that was established in the mid 1930's, was not any destruction of physical capital that had to be replaced, but was a destruction of capital value, and a rise in the rate of profit, which facilitated more rapid capital accumulation, on the basis of an expansion of the market, in the form of a range of new industries, such as domestic electronic appliances, motor vehicles, petrochemicals etc. Moreover, if a lack of physical capital were the necessary requirement for more rapid capital accumulation, then the poorest countries in the world should be the ones that experience the most growth!